Recently Theater Talk was able to attend press night of Fame The Musical at the Palace in Manchester. After a long summer of shows, I was anxious to see how Fame would compete in my search for the best theatre in London. You know that saying, “save the best for last”? Well, that is precisely what I felt when we saw this utterly fantastic show. 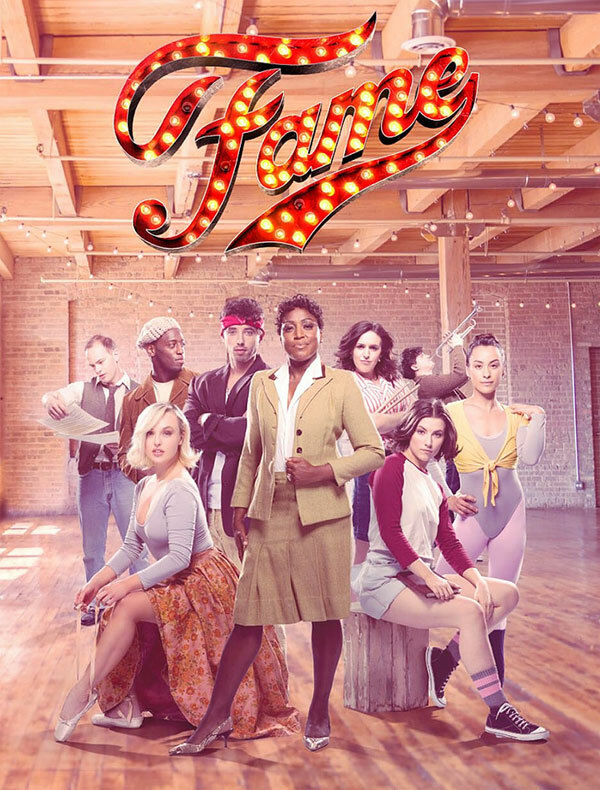 “I want to make magic” - is the famous phrase uttered by drama student Nick Piazza at the beginning of his freshman year, and magic is exactly what the cast of Fame The Musical is doing on the stage 8 times a week. Back on the road touring the UK, this new production is celebrating its 30th year wowing audience since its premiere in 1988. Based off the 1980s film of the same name, the musical follows a group of young aspiring performers as they enter their first year at the famed High School of the Performing Arts in New York. With a book by Jose Fernandez, music by Steve Margoshes, and lyrics by Jacques Levy, Fame is always a crowd pleaser. Nick Winston served as director and choreographer and assembled a stellar cast of talented young performers. The school is supposed to house the most talented youth, and that is exactly who Mr. Winston assembled for his cast. Keith Jack, of Any Dream Will Do stardom, leads the cast with his crystal clear tone playing Nick. His lover (spoiler), is Serena played by Molly McGuire and her rendition of “Let’s Play A Love Scene” truly wowed me. The fantastic Mica Paris (Miss Sherman) brings down the house and the audience to their feet (literally) with her Act II showstopper “These Are My Children”. Of course you can’t do Fame just without Carmen, played by absolute powerhouse Stephanie Rojas whose voice is truly out of this world. Special recognition goes to Simon Anthony, Alexander Zane, Louisa Beadel, and Tom Mussell who on top of all of their singing and dancing played instruments live on stage. Morgan Large’s design includes a multipurpose set with all the headshots of the cast for an eye-popping blank. The ensemble of the show is really the backbone of the production and they carry the story on from song to song. A shoutout is deserved for Morgan Jackson and Daisy Twells who really stood out as dancers. A big issue we have had with some British productions are their lack of ability for American accents but this cast knocked it out of the park! I can safely say that out of 70+ shows we were able to see this summer in England, Fame had the most talented cast of singers and dancers out of them all! Selladoor Productions has truly outdone themselves with this show. Get your tickets now for this production, you will not regret it, because unlike Fame, this tour won’t last forever.